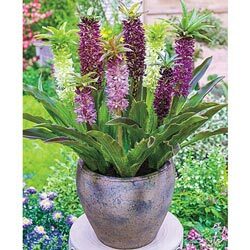 Add a Tropical Flair to the Garden or Patio! 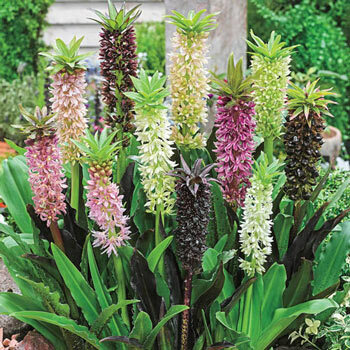 Create a colorful, unusual look with this colorful mix of pineapple lilies! 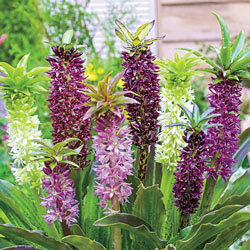 These easy-to-grow perennials have lance-shaped leaves that turn from green to burgundy-red. In mid to late summer, spiky flowers with decorative top tufts resembling pineapples bloom atop the foliage. Planting Instructions: Grow in a sunny, sheltered area or at the base of a warm wall. Plant 6" deep and 9 - 12" apart. Soil Requirements: Fertile, well drained soil in full sun. Winter Care: Not hardy, lift in fall for winter storage. 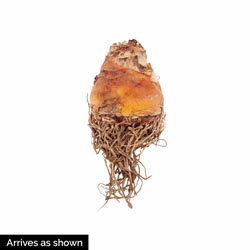 Additional Information: Can also be used indoors as a potted plant.